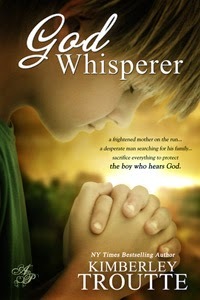 10% of author royalties will be donated to the American Society for Deaf Children. LONNIE HOGAN has lived and breathed fear for the past eight years. Will the killers find them? She’s ready to run again, or fight for her son’s precious life, but she won’t let anyone take David. Few people on St. John, Virgin Islands, know their favorite doctor, MARK NORTON, is a desperate man searching for the life stolen from him. After hours, he surfs the internet for leads gone stone-cold to find his missing family. Holding her breath, she listened. She waited for the bedroom door to scrape open and a dark figure to burst into her room. Her muscle fibers and nerves were ready to propel her body out of bed. She was a live wire. Her senses were on overdrive, ready to yell for help, ready to flee. Several minutes later she exhaled her relief. No one had gotten in. No one was going to kill them. Tiptoeing down the hall, she went to David's room and gently put her hand on his chest. Her innocent child was fast asleep. She crawled back into bed. Focusing on the hairline crack in her ceiling, she rehearsed what she'd do if they were caught. Lonnie hated thinking about the scary past showing up on her front porch, but had to prepare. She'd protect David at all costs. One: Grab the box hidden under the bed. Two: Snag the falsified IDs and birth certificate from the sock drawer. Three: Tuck everything under David's arms and tell him to, "Run to Carrie Beth's!" He'd be confused, but she'd make him understand. She had to. Four: Run as fast as her legs could carry her unless…she couldn't. If she couldn't get away, she'd stand and fight to save her son. David was the only person who mattered. Only David. By the time she finished running through her plan she was sobbing into her pillow. The List always made her cry. But not being prepared for the worst was like signing their death warrants. The worst could be just around the corner. She had to be ready. Thank you for hosting me! I love your site.